Since 2004, the studio has enlarged its skills with talented collaborators. 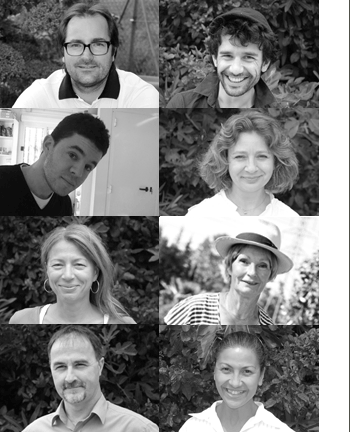 Nine people are now bringing their skills together to bring the stimulating and creative universe of Thomas Gentilini to life. The three landscape architects in collaboration with the illustrator are analyzing and offering design proposals for the site, two site supervisors are in charge of the coordination between the different professionals, the on-site follow up and to make sure the final project will be deliver on time. The secretary, the commercial assistant, and the graphic designer ensure the administrative functions and the art direction. Thomas Gentilini tries to spread and transmit his stimulating creativity trough his team.